I know it's summer and I should be wearing bright colors, but I just love grey nail polish so I decided to use one of my untried polishes. 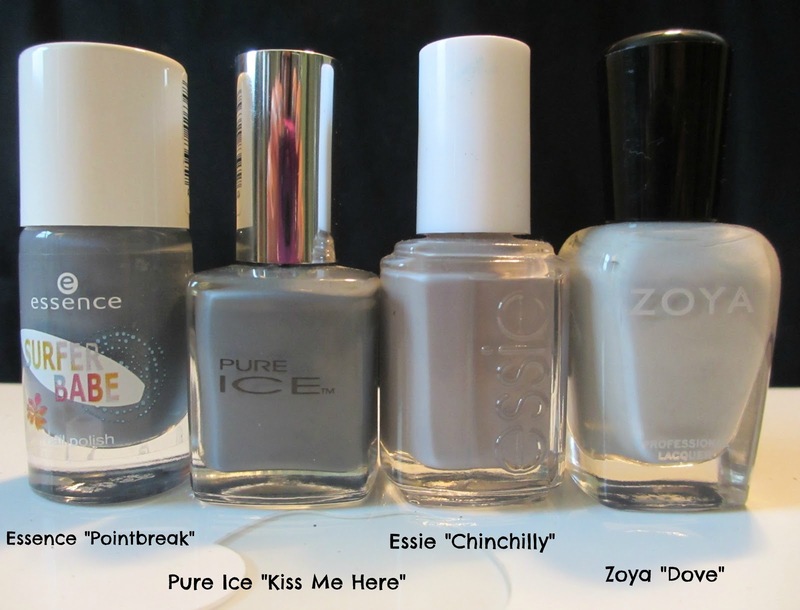 Pure Ice "Kiss Me Here" is my only Pure Ice nail polish. I don't even remember where these are found. Maybe Walmart? Or Icing? I know I've seen them somewhere. I grabbed this when I first got into grey nail polish and wanted to try it for a reasonable price. The formula of this was great. I did need two coats, but it was so smooth and applied evenly. I also love the color - it's simply a dark grey. I don't really see any purple or blue in it at all. Below I am showing a comparison of some of my greys. I wanted to show how it compares to Essie Chinchilly and Zoya Dove. It's a lot darker, obviously, but Chinchilly has some purple tones and Dove is quite a bit lighter. It's a pretty close dupe to Essence Pointbreak. Do you love grey nail polish as much as I do? LOL Essie Rae- this is the only Pure Ice polish I own as well! I have never worn it though. It looks great on. I love gray polishes. I love polishes like this! Looks great on you! Thanks. Greys are so flattering on all skin tones. I absolutely love pure ice polish! They are sold at Walmart and for the cheap price I'm amazed by the quality. 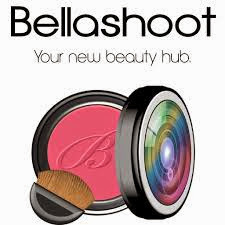 The formula is so easy to put on, bright colors, and it lasts. The only thing is I think they just have set colors, they don't come out with new stuff, at least that I've seen..